Are you wondering how to get radio airplay as an independent artist? Radio can offer widespread exposure for artists. With any other channel, it can be a challenge to reach a large number of people at once, but radio is still a medium where your reach could number in the dozens, hundreds, or even thousands from a single play. As result, getting radio airplay is a worthwhile goal. This doesn’t mean that getting on the radio should be equated with instant success. Just because your song gets played on the radio doesn’t mean that everyone is going to take notice or even like it. Still, the radio tends to do a good job of marketing products, businesses, and of course musicians. They generally know how to talk to their audience. 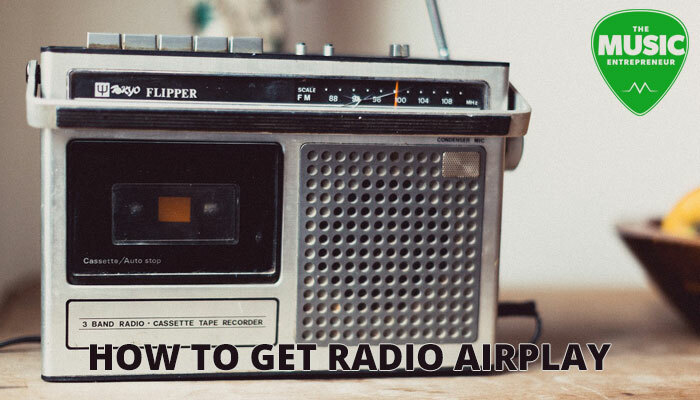 Here’s a process you can follow to get more radio airplay. Before we go any further, it’s important to understand the different types of radio that are out there. In addition to commercial radio on the AM/FM dial, there’s College or non-profit radio, community radio, internet radio and podcasts, and of course satellite radio. Commercial radio: these are the stations that show up on the AM/FM dial and are usually owned by large media conglomerates. Quite simply, this is the hardest place to get your music played as an independent artist. Without the help of a radio promoter, or better still a major label backing, your chances of being played are close to nil. If you do hire a radio promoter to help you get airplay, you will want to make sure that they are qualified to give you the type of help you need. College and non-profit radio: College or campus radio is typically run by the students of an educational institution. Because they are independent entities, independent artists have a better chance of getting airplay on them. Community radio: community radio stations generally serve specific geographic areas or communities. These stations are most influenced by the communities in which they exist. Their programming tends to be a mix of things, as opposed to just music. This is another area where independent artists have a good chance of getting airplay. 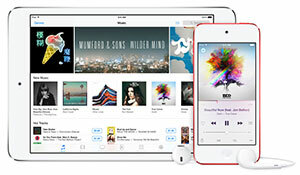 Internet radio and podcasts: internet radio is a bit of a mixed bag. While Pandora may well be one of the most noteworthy examples, there are plenty of other services and stations available. Some are operated 24/7 like in traditional radio, while others can be found in podcast formats. Satellite radio: SiriusXM is perhaps the most well-known satellite radio provider. Satellite radio generally serves larger areas than traditional radio because their signal can be relayed through one or more satellites. When it comes to College radio campaigns, my favorite story comes via Derek Sivers. 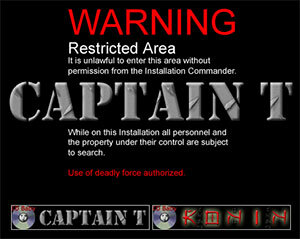 In 2007, he shared the tale of how he was working with an artist called Captain T.
Because the music was very much in the vein of X-Files (conspiracies, Area 51, etc. ), they went and found some jet black envelopes. On the outside, the envelope read, “Absolutely Confidential: Do Not Open”. Of the 500 stations they sent the CDs to, 350 of them played it! The chances of getting picked up on College radio are generally 30 to 40%, so 70% is not a bad batting average. What we can learn from Sivers’ example is that it’s important to find a way to stand out. Radio stations are bombarded with hundreds of CDs. Don’t forget to add some personality to your campaigns. Make it fit your brand. Here’s an overview of the CD Baby method. The first step in putting together a College radio campaign is to figure out how many mailings you want to do. CD Baby suggests doing 100 – 200 mailings. If you have more wiggle room in your budget, or if you have a specific strategy in mind, you might consider sending out more or less. Remove the cellophane wrapper on the CD, and make sure to include your band’s one-sheet. That’s all you need to include. Don’t forget to highlight the songs you want the DJs to play/listen to/pay the most attention to by bolding them on your one-sheet. The second step is to put together a list of College, community, public, and specialty programs on commercial radio that you are going to mail out to. CD Baby suggests limiting your list to places you can realistically tour through three or four times per year. Make sure your package addresses the radio programmers or DJs directly by name. A package addressed to the radio station could get lost in the mix. Thirdly, follow up with the radio stations by phone or email two weeks later. Did you get my CD? Did you get the chance to listen to it? Will you be adding it to your playlist? If they tell you that they are not currently considering your CD for airplay, either ask why or say thank you and move on. Don’t linger on the phone or get defensive about your music. If they are playing your music, check back every few weeks and continue to build a relationship with the program directors or DJs. Remember to thank them for playing your music. If a station plays your music, keep them updated with your career every quarter (so they can talk about your latest tour or CD release). Also ask them how you can help them. Perhaps you could do a bumper or a giveaway in conjunction with a contest. There are a variety of ways you could add more value to the station. Get creative! The easiest place to find podcasts is on Apple iTunes. Keep in mind that you are looking for podcasts that specifically play your style of music. Podcasts come in a variety of different formats, (talk, radio show, video, music, instructional, etc. ), and you don’t want to be submitting your music to every podcast you can find. Look for the ones that: a) play music, and b) play your style of music. Internet radio stations can be found on SHOUTcast, Internet Radio, Live365 and a variety of other places. Put together a list of appropriate stations, and track down their submission guidelines. Guidelines can vary depending on the station, so make sure to adhere to their specifications. Budget: you can’t carry out an effective radio campaign without a budget. Make sure you have the funding necessary to do the mail outs. Time: you’re going to need to set aside some time to make a campaign work. It takes time to do mail outs, and it takes time to follow up with the stations. Make sure to put it in your calendar! Product: it’s easy to take for granted, but you can’t have an effective radio campaign without a professionally produced, radio-ready product. Your CD doesn’t have to be recorded in an expensive studio. However, your production quality should be such that it could be played back-to-back with other tracks on the same radio station and be of similar quality. Your CD should also be available in stores (online, offline or both) for easy access.